Length of rule: 24 years. A graduate of Muammar Qaddafi's World Revolutionary Center (a.k.a. Harvard for tyrants,) Campaore took power in a coup after a hit squad gunned down his former military comrade predecessor, Thomas Sankara, in his office in 1987. He has won four mostly questionable elections since then, and he has largely maintained power and public support by playing the "It's either me or chaos" card. Most despotic acts: Campaore has largely followed the path laid out for him by his dictatorial mentor, Qaddafi, by giving no ground to dissent in either the public or among those close to him. Disagreements with or the questioning of the Campaore regime routinely results in dismissals, jailings, torture or killings. In 1998, the bullet-riddled body of well-known investigative journalist Norbert Zongo was found near the capital, Ougadougou. The case remains unsolved and the government has yet to absolve itself of blame. Reporters Without Borders said in 2007 that any challenge to the president and his allies remained a "high-risk exercise". There was also allegedly more than 100 extra-judicial killings during unrest in 2001 and 2002. Outlook for change: Voters reelected Campaore in a landslide late last year, amid widespread allegations of a rigged vote. More recently, the country has been plagued by repeated mass protests and strikes, although none of them seem to thus far be overtly demanding Campaore's ouster. What began as a simple display of frustration by students over the militarization of their campuses has spread in recent weeks to sometimes wild protests by the military, police offices, merchants, and even the presidential guard. The Nation magazine writes: "The protesters have called for an end to high levels of unemployment, the rising cost of living, inadequate delivery of public services and state repression. 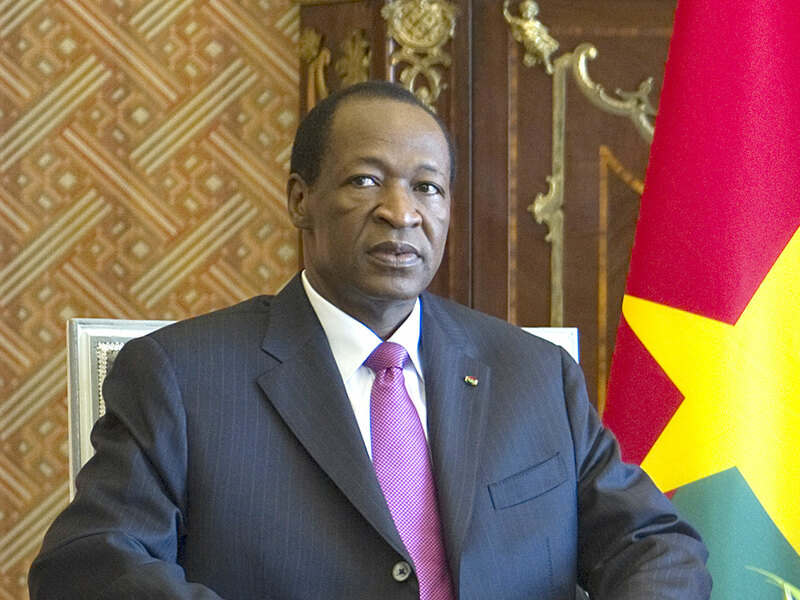 (In April,) President Blaise Compaore's armed guard launched a mutiny against him, demanding that housing subsidies be paid. Compaore responded by dissolving the government and firing the head of his presidential guard, the chiefs of the army, air force and police." Population: 16,751,455; Mossi over 40 percent, other approximately 60 percent (includes Gurunsi, Senufo, Lobi, Bobo, Mande, and Fulani); Median age is 17. Constitution and the Rule of Law: Parliamentary republic; Everyday law based on French civil law system and customary law.